Deal strengthens Strawberry Star Group’s volume housing vision of delivering 4,000 homes by 2025 London, 4th April 2019: EPISO, an opportunity fund advised by Tristan Capital Partners, in partnership with Addington Capital, have sold a mixed-use 4.5-acre site with consent for residential 447 units to Strawberry Star Homes for a price in excess of £15 million. The site is alongside the joint venture partners’ Harvey Shopping Centre in Harlow. 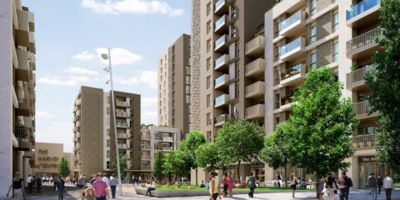 London, 4th April 2019: EPISO, an opportunity fund advised by Tristan Capital Partners, in partnership with Addington Capital, have sold a mixed-use 4.5-acre site with consent for residential 447 units to Strawberry Star Homes for a price in excess of £15 million. The site is alongside the joint venture partners’ Harvey Shopping Centre in Harlow. Addington secured planning permission for the site, which was previously a shopping mall, to create a mixed-use regeneration scheme. The plans include four new standalone blocks, which provide 447 residential units and around 40,000 sq. ft. of retail space, together with below podium car parking. Above the podium there are planned landscaped private amenity areas. Addington and EPISO bought the Harvey Shopping Centre as part of a broader portfolio in 2011 and have been refurbishing and improving it since then. The Centre has benefitted with the opening of the Terrace in 2016 anchored by the 25,000 sq. ft. Cineworld and a number of new leading restaurant brands. “The Harlow site is our second mixed-use development in the London commuter belt. Work on our first scheme LU2ON, will commence in May 2019, creating 785+ apartments in Luton. We will continue to work with local councils to contribute to their regeneration plans and address the housing shortage issue in the UK.” Santhosh added. The site is approximately 10-minutes’ walk from Harlow Town Station, which operates trains to London Liverpool Street station with an average journey time of 30 minutes. Harlow is an attractive option for home-movers from London and other expensive areas looking for family-friendly homes. Strawberry Star Homes (SSH) builds quality homes in London with a focus on zones 3-9 and popular commuter belts where the demand for homes is rapidly increasing. It focuses on volume housing and lifestyle-driven communities in locations that benefit from new and existing fast transport links to Central London and business hubs. SSH will deliver 4000+ quality new homes (apartments) in the London commuter belt by 2025 to address the growing demand from first time buyers, young families, home-movers, working professionals, buy-to-let investors and international buyers. London, March 8th 2019 Addington Capital, the property investment and asset management specialist has recruited Mike McGovern as a salaried partner and new head of Development. Mike joins from developer Eastern and Oriental and prior to that had spent eight years at Buro Four. Mike will be responsible for looking after Addington’s existing projects including the office to residential conversion of One Lampton Rd, Hounslow into 115 apartments, new build development of Melbourne Street, Leeds delivering 100 apartments and the re-purposing of a key high street site to retail and offices in Cheltenham. Mike will be a key player in the appraisal and delivery of projects across the portfolio and new acquisitions. In his career to date he has worked on numerous prestigious office schemes across central London, including 1 New Burlington Place, 10 New Burlington Street, and 55 Gresham Street and residential projects, including Esca House and 22-23 Newman Street as well as high rise projects in Canary Wharf and Hammersmith. Addington Capital was set up in 2010 by Martin Roberts and Matthew Allen as an independent operating partner. Mike joins a growing team at Addington. The company recently recruited partner Tim Cornford from Ellandi to head its retail asset management and prior to that in October last year, recruited partner Helen Shellabear from Hudson Advisors LP as asset manager. 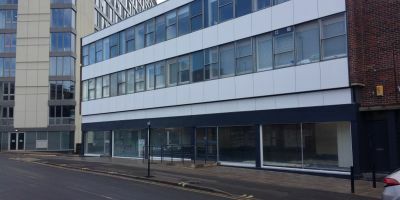 London March 6th 2019 Addington Capital, the investment and asset management property specialist has sold two buildings in Sheffield: - Wellington House (Wellington Street) was sold to Code Students Limited for £1.8million. The building comprised of 12 flats and a ground floor retail unit measuring 3,000 sq ft. - Princess House, a 43-bed student scheme, was sold to Denvil Developments Ltd for £1.7m. The building is divided into seven flats, and following refurbishment by Addington, now has full occupancy. The building was sold with a planning consent in place to convert to 26 flats, which included the addition of two additional storeys. - Wellington House (Wellington Street) was sold to Code Students Limited for £1.8million. The building comprised of 12 flats and a ground floor retail unit measuring 3,000 sq ft.
- Princess House, a 43-bed student scheme, was sold to Denvil Developments Ltd for £1.7m. The building is divided into seven flats, and following refurbishment by Addington, now has full occupancy. The building was sold with a planning consent in place to convert to 26 flats, which included the addition of two additional storeys. The schemes had originally been bought as part of the Prospect portfolio, bought in joint venture in January 2016. London, 15th February 2019: Addington Capital, the property investment and asset management specialist has received planning approval on a residential development on Melbourne Street in Leeds City Centre. The application comprises of 100 apartments of varying sizes split into three blocks on varying levels. Den Architecture were the architects for the project. The plan is to get on site and build as soon as possible and to target the PRS market. This area of Leeds has seen significant regeneration in recent years and is now known as the Northern Quarter in recognition of its increased popularity and vibrancy. The wider area has also seen a number of new shops, bars and restaurants. Addington also has a large PRS Scheme in Sheffield, Velocity Village which consists of 371 apartments. Last year it set up ADDLiving, a new management and leasing platform which manages the Sheffield and Leeds sites. London February 7th 2019 Addington Capital, the property investment and asset management specialist has recruited Tim Cornford as a salaried partner to head its retail asset management team. Cornford joins from Ellandi where he was an Associate Director. London, 26 October 2018, Europa Capital, the pan- European real estate investment manager and its partner, Addington Capital, have completed the acquisition of a £55 million portfolio of residential properties in London. The portfolio, which was acquired through Europa Capital’s Fund V, consists of mostly Victorian and Edwardian houses and apartment conversions in London and was acquired from private clients of Allsop. The investment is the third acquisition for the London Affordable Residential platform. The London Affordable Residential platform was established to invest primarily in undersupplied London markets where it sees the opportunity to enhance income and add value through actively managing its portfolio by both selectively refurbishing existing properties, as well as the creation of new supply through residential conversion. The newly acquired portfolio totals 202 assets including 43 houses and 153 flats. 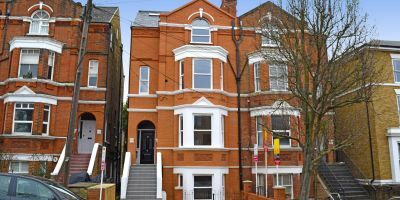 The properties are predominantly freehold, with a mixture of residential tenancy types including assured shorthold tenancies (ASTs) and regulated tenancies. Hugo Black, Partner at Europa Capital commented, “This acquisition further boosts our London Affordable Residential platform with Addington where we are sourcing well-located homes or residential projects that offer value- creation opportunities and will be delivered into London’s undersupplied residential market. This is our 8th joint venture with Addington and supports our continued drive to invest in the sector." Through the London Affordable Residential platform, in February 2018, the partners acquired a mixed-use asset in Hounslow, West London with permitted development rights for conversion into 115 residential units. Europa Capital was an early institutional mover into residential investment and has invested in or developed over 7,000 bed spaces in PRS and student accommodation in key UK and Continental European locations since 2012. For Addington, the portfolio will complement its existing residential and PRS portfolio, which it plans to further expand. The owners of the firm recently recruited Erdal Kacar to head its ADDLiving business, its management and leasing platform for residential property. Addington has acquired over 2,000 residential properties with its partners over the past 6 years. Tim Theakston of Allsop advised the vendor. London, October 22nd 2018 Addington Capital, the property investment and asset management specialist has recruited Helen Shellabear as a salaried partner to focus on asset management in its growing team. Shellabear joins from Hudson Advisors L.P. where she was a Vice President within the Real Estate Asset Management business. Helen will be responsible for looking after a group of assets, primarily in the office and retail sectors. At Hudson, she was responsible for developing short, medium and long-term value-added strategies in relation to real estate assets & portfolios on behalf of the Lone Star Funds. Real estate assets under management during her time at Hudson totalled in excess of £1bn and included all asset classes, including Alternatives, across the UK. Addington Capital was set up in 2010 by Martin Roberts and Matthew Allen as an independent asset management business and has an established platform in the office, retail and residential sectors. It acts an operating partner in a number of joint ventures to create value through active asset management. Helen joins a growing team of now 16 at Addington. 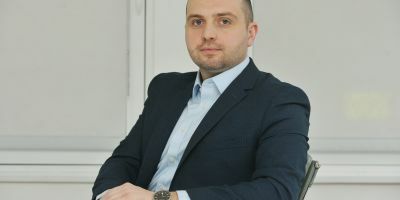 The company recently recruited Erdal Kacar from L&Q, the PRS Specialist to spearhead ADDLiving, its new management and leasing platform for residential property in June. The firm is also now moving into new offices at 41- 42 Eastcastle Street, W1. The new offices will be operational from October 29th 2018. London - Addington Capital, the property investment and asset management company has acquired the five property “Bonsai” portfolio for £45 million with debt and equity funding provided by ICG-Longbow, Intermediate Capital Group’s real estate business. The mixed use portfolio of high yielding residential, office and retail properties has been acquired from EPISO3, an opportunity fund advised by Tristan Capital Partners. 118,500 sq ft Union Square shopping centre, Torquay. Commenting, Martin Roberts of Addington Capital, said, “We have acquired these properties for the development and asset management opportunities that they offer, underpinned by the current strong cash flow. We intend to work these properties further to provide returns to our investors and are delighted to be working with ICG-Longbow in our first transaction together. “The fact that on exit, half of the value of the portfolio will be in residential property reflects our push into this market place.” Addington's founders have just launched ADDLiving, a residential property management and letting platform. The founders of Addington Capital, Martin Roberts and Matthew Allen have launched “ADDLiving”, an independent management and leasing platform to service the growing PRS/BTR sector in the UK. London, Friday June 29th 2018.The founders of Addington Capital, Martin Roberts and Matthew Allen have launched “ADDLiving”, an independent management and leasing platform to service the growing PRS/BTR sector in the UK. 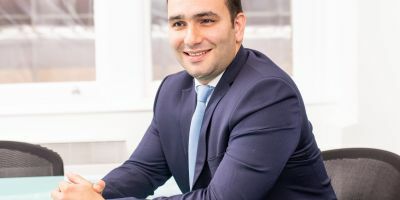 Erdal Kacar has joined as head of operations from L&Q, the private rented specialist where he was responsible for the management and leasing of its 1,800 unit PRS portfolio. Addington Capital, with its partners, has acquired around 2,000 houses and apartments across the UK since 2012. PRS schemes include Waterside Apartments and Headingly Park in Leeds and Velocity Village in Sheffield. ADDLiving is already being used on a number of Addington’s investment schemes and currently has around 600 units under management or in the pipeline. The plan is to build on its success and offer its services to other Addington schemes and to other PRS investors. Erdal Kacar has joined AddLiving after six years at L&Q where he launched their PRS offering and developed this to create a portfolio of 1,800 units in London. Working with the Land Acquisition team, he has also helped establish a confirmed pipeline of 5,000 units over the next 3 years. He ran a team of 30. Prior to joining L& Q he was at Acorn Ltd where he provided property management services to private investors and landlords in South East London and prior to that he was at Homefinders. Addington Capital, the investment and asset management company, in partnership with the shopping centre owner EPISO, a fund advised by Tristan Capital Partners announces the opening TODAY of the Primark store at its Charter Walk Shopping Centre in Burnley. Primark has taken 32,000 sq ft of retail space and the store will create 110 jobs in the centre. “The shopping centre is trading very well and we hope to build on this success by submitting a planning application shortly to reconfigure a circa 15,000 sq ft retail block in the Market Square to deliver further lettings to meet demand from strong national retailers. 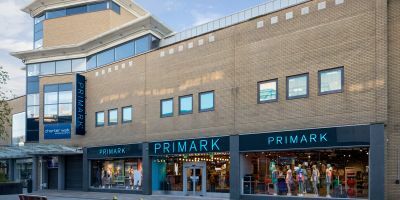 Primark joins other national retailers trading within Charter Walk such as River Island, Wilko, JD Sports, Boots, The Entertainer and Superdrug. The centre is now over 95% let. Addington Capital, in partnership with EPISO3, an opportunity fund advised by Tristan Capital Partners, has sold the Bradbury Works, Braintree to Locksbridge Developments (Braintree) Limited for £6.195 Million. The freehold industrial development site extends to just under 9 acres and has planning permission for 196,000 sq ft of new B2/B8 accommodation. Steven Vaughan of Addington commented “ We are pleased with the sale. We were marketing the site at offers of over £6 million, and the price achieved is evidence of the continuing strength of the industrial & warehousing market. There is strong demand from local occupiers but little supply of new quality industrial units in the area giving good prospects for rental & capital value growth." The site was acquired by Addington and EPIS03 in 2014, as part of the Tree portfolio. Addington Capital has sold the freehold interest of Princess House, Shrewsbury for £12.4m in an off - market transaction to private investor clients of Knight Frank. The property comprises high quality retail and leisure let to tenants including JoJo Maman Bebe, Patisserie Valerie, Starbucks and Cote. The upper floor offices are well let to government and local council agencies, including Shropshire CommunityHealth NHS Trust and the Ministry of Defense. Addington was advised by KLM Retail. Addington Capital, the property investment and asset management company has now completed the development of 55 Queen Street, Sheffield S1, in Sheffield City Centre into a residential apartment block and is now marketing the units. Addington acquired the 17,800 sq ft old Victorian office building in January 2016 as part of a larger portfolio and has since gained planning and developed the building into 24 modern flats (12 x 1 bed and 12 x 2 beds), with 7 parking spaces in a gated development. The property is in a conservation area and Addington has maintained the period building with original features. Each apartment has large double glazed sash windows, granite worktops and high quality integrated appliances, dedicated fibre broadband connections and low service charges. The apartments range in size from 386 sq ft to 743 sq ft. Commenting on the scheme, Matthew Allen, Principal of Addington Capital said, " We have developed to a high finish and believe these apartments by virtue of quality and central city location will prove highly attractive to Sheffield's young professional community. There is still a demand/supply imbalance in the Sheffield residential market." Nicola Spencer of Spencer’s Estate Agents is marketing the scheme for Addington. Addington Capital and Europa Capital have completed the acquisition of One Lampton Road in Hounslow from clients of LaSalle Investment Management for over £20 million. The investment is the second acquisition for the London Affordable Residential Platform, which will focus on the creation and conversion of residential accommodation in undersupplied London markets. The 121,812 sq ft (11,316 sq m) mixed use property provides 72,571 sq ft (6,742 sq m) of office space and 49,241 sq ft (4,574 sq m) of retail space. One Lampton Road is occupied by tenants including TK Maxx, Job Centre and Sri Lankan Airlines, and has permitted development rights for conversion into 115 residential units. The property is located in the heart of the town and within 200 m of Hounslow Central underground station. Martin Roberts, Principal of Addington Capital said, "We are continually looking for opportunities where we can put our asset management and development expertise into play and this acquisition will allow us to do both. One Lampton Road will complement Addington's existing PRS portfolio, which we plan to expand further going forward. " Gerald Eve acted for the vendor, who were clients of LaSalle Investment Management. Fund manager Europa Capital and Addington Capital, the investment and asset manager joint venture partner, have completed two further lettings at The Quadrant, Abingdon Science Park. The Fishawack Group of Companies, a healthcare communications group, is taking 4,700 sq ft (Unit 31) of refurbished accommodation on a ten year lease. In additional, MJA Consulting, a civil and structural engineering specialist, is taking 9,000 sq ft (Units 23, 24 and grd 25) on a 10 year lease with a break clause in year 7. Both units have already been refurbished. These deals follow on from recent lettings at The Quadrant to PsiOxus Therapeutics, Tessella, and Preservica for a total of 38,000 sq ft in the last 18 months. The property totals 75,000 sq ft.
Europa and Addington acquired The Quadrant in January 2016 as part of a broader active asset management portfolio. Philip Symonds, partner at Addington Capital said, "A total of 70% of the Quadrant has been refurbished and re-let on new terms in last two years, bringing current occupancy to 82%. South Oxfordshire remains a key national science/tech hub and we are delighted our refurbishment program and estate improvements have enabled us to take advantage of the inherent demand in the region". Agents on the deal were Carter Jonas for Addington, Doherty Baines for Fishawack Group of Companies and MJA Consulting were unrepresented. Despite continued efforts by central government to increase housing supply, government policies are not tackling the root cause of the housing shortage- an obstructive planning system and the funding of affordable housing. Unlike the public sector, the private sector has a more expensive cost of capital and a mandate to deliver risk adjusted investment returns to its banks and shareholders, usually within tight time constraints. Its requirement for a development to be financially viable is therefore often at loggerheads with the public sector’s need to enforce the private sector to build more affordable homes. Yet the current system pits the two opposing parties against one another and then wonders why not enough housing is being built. In general, the inevitable outcome is conflict, procrastination, delay, more delay, increased costs and uncertainty, which together mean less house building, a constrained housing supply and less affordable homes. Political pressures to avoid building on the greenbelt and focus on higher density development on brownfield sites is deliverable but it is exacerbating this viability gap. Higher density schemes on brownfield land take longer and cost more to build with more development risk. As a result, they require additional compensation to make them viable for the private sector to fund. Many brown field sites outside London, either for sale or rental, struggle with viability even without providing any affordable housing. Most parts of the country outside the South East still command property values on apartment blocks of less than £300 psf which doesn’t leave much head room in a development appraisal. The planning officers, who are not commercially trained, assess viability with their consultants and make recommendations which are too often ignored by councillors who go against their officers' recommendations. The viability tests are often treated with suspicion and council members are afraid of being seen to neglect their responsibility to provide more social housing in their community. Viability is a complex commercial equation and no two sites are the same. How can we expect planning officers and elected, but unqualified council members to successfully weigh up the commercial risks and returns of a complex, high rise brownfield development for the purposes of assessing viability? Structural changes in local demographics and the way that people live, work and play are causing local plans and long held opinions of members and their officers to be out of date and irrelevant. Two recurring obstacles are retail floorspace and parking requirements. The centres of most of our towns and cities need less retail space and the residents of apartment blocks use fewer cars – this is not a passing phase or market cycle, it is structural. Rarely are these issues fully understood and reflected in planning decisions and detrimentally they affect viability. The solution is to remove the viability test from the planning process. The public sector has a lower cost of capital, more patient investment horizons and other motivation to building affordable housing, so it should take more responsibility for the supply of new homes. Until this happens the perennial shortage of housing and the problems of affordability will persist. Matthew Allen is a Principal of Investment and Asset Management property specialist Addington Capital. This article appeared in Property Week on December 13th 2017. London, December 14th 2017 Addington Capital, in partnership with EPISO, an opportunity fund advised by Tristan Capital Partners, has received unanimous approval from Harlow Council for an exciting new mixed-use re-generation scheme on part of its Harvey Centre, shopping centre in Harlow. The Little Walk, East Gate, West Gate and Gatehouse area of the centre will be demolished, making room for four new buildings ranging in height from three to sixteen storeys which will provide 447 residential units and circa 4,000 sq m of flexible retail floorspace at ground floor, together with below podium car parking. Above podium, there will be richly landscaped private amenity areas, with shared child play-space incorporated into the design. This will completely transform the north side of the Town Centre, introducing a new residential community within a series of buildings centred around beautifully landscaped public spaces. A new boulevard shopping area will improve access to the central shopping area of the scheme from the existing West Gate ‘gateway’ into the town. The scheme has been designed by Rolfe Judd Architecture. Rolfe Judd Planning advised on the planning application. Martin Roberts, Principal of Addington Capital, who are developing the scheme said: "We are delighted Harlow Council has approved our regeneration scheme. We will be providing nearly 450 new residential homes centred around landscaped public spaces with easy access to open air boulevard shopping. It will transform this part of the town, which has long been in need of such investment. " Addington and EPISO bought the Harvey Shopping Centre as part of the Sapphire Portfolio in 2011 and have been refurbishing and improving the shopping centre since that time. The Harvey Centre has benefited with the opening of the Terrace in 2016 anchored by a 25,000 sq ft Cineworld that opened in Christmas 2016 and a number of new leading restaurants brands. The centre has just announced that restaurants Sticky Sisters and Burger Priest are taking new space at the scheme. London, December 8th 2017 Addington Capital, in partnership with the shopping centre owner EPISO, an opportunity fund advised by Tristan Capital Partners, has attracted two new tenants that offer fast dining experiences to the Terrace, its newly re-developed leisure scheme in the Harvey Shopping Centre in Harlow, Essex. Sticky Sisters is taking circa 3,000 sq ft space and Burger Priest is taking 3,500 sq ft on a 15 year lease. is anchored by the 25,000 sq ft Cineworld that opened in Christmas 2016.
casual first date or a pre-movie catch up with friends. steroid free, with no preservatives. Options for vegetarians will also be on the menu. Again the franchise appeals to families and young couples wanting a pre-movie meal or night out. 80% let with two more units left to market. An Addington Capital joint venture company has sold The Tower in Sheffield to Rose Gold Estates Limited. Addington, the property investment and asset management specialist, acquired the 26,589 sq ft city centre office building property in January 2016 as part of the Prospect Portfolio and achieved planning consent to convert the building into an 81 bed student accommodation scheme. 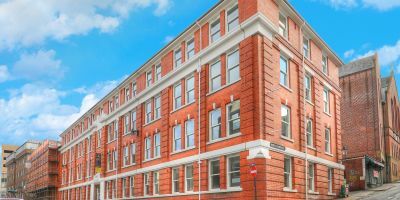 It has been sold for £2.25 million, with the buyers planning to convert the vacant office into high end student accommodation. The Tower is located on Sheffield's Furnival Square roundabout opposite The Moor Shopping Centre and on the opposite corner of the roundabout to Sheffield Hallam University's main campus. Redvers Tower next door has also recently been converted into student accommodation and is achieving high rents. The building consists of a ground floor which houses a restaurant, former office accommodation on nine upper floors and a basement car park providing 14 spaces. Agents for Addington were Crossthwaite Commercial and Allsops. Commenting, Matthew Allen, Principal of Addington Capital said, "There is a strong demand for student accommodation in Sheffield*and we were able to spot the opportunity that gaining planning would give. A tired office building will be given a new lease of life which is good both for the students and for regenerating Sheffield." "Addington will continue to look for opportunities where we can add value to property, using our asset management skills and knowledge of local markets." Addington Capital was set up in 2010 by Martin Roberts and Matthew Allen, as an independent asset management and investment business. Since inception Addington has completed over £850 million of deals by value and has an established platform in the office, retail and residential sectors. Addington acts as an operating partner and works closely with its partners to create value through active asset management. Please visit www.addingtoncapital.com for further information etc. Addington Capital, in partnership with the shopping centre owner EPISO, an opportunity fund advised by Tristan Capital Partners, has let another unit in its Queens Arcade shopping centre to Tim Hortons coffee shop. centre to Tim Hortons coffee shop. opening its first coffee shop in Wales in the centre and would be taking a new 10 year lease of 2,500 sq ft at Unit 20 Queen's Arcade. system- wide restaurants located in Canada, the United States and the Middle East, and serves 5.3 million Canadians every day. The company has announced plans to open widely in the in the UK, having opened its first store in Glasgow five months ago. for our customers and a boost to Cardiff." Addington Capital, the property asset management and investment company has raised nearly £3.9m from the sale of three prime retail units in the centre of Cardiff. The shops were part of the Sapphire Portfolio acquired by Addington Capital and EPISO, an opportunity fund advised by Tristan Capital Partners in 2011. The portfolio included Cardiff’s Queens Arcade shopping centre which was also put on the market last October. Comprising 3 and 4 St John Street and 2-3 Working Street/9 St John Street, all three units are in a busy pedestrianised shopping street close to the entrance to Queens Arcade and St David’s Shopping Centre. 3 St John Street is let to Caffè Nero and was sold to a private investor for £705,000, reflecting a net initial yield of 6.23%. The adjoining 4 St John Street, let to Greggs, was purchased by Evannance Investment Company for £1.08m, a net initial yield of 7.44%. This included three flats above. Nearby, 2-3 Working Street/9 St John Street was bought by GM2 for £2.1m, providing a net initial yield of 6%. The retail units are let to TSB and Shop Wales. HRH Retail advised Addington Capital on all three deals. John Arkwright & Co represented the private investor; Calan Retail acted for GM2. Addington Capital & Tristan Capital Partners announce lettings: Union Square Shopping Centre, Torquay: Now 99% Let. · That’s Entertainment has taken a three year lease on circa 3,000 sq. ft.
· Greggs has taken a fiveyear lease on circa 2,200 sq. ft. The centre is now 99%: let, with only one vacant unit. The owners acquired Union Square in August 2014 and Addington has been actively managing and investing in the centre since, undertaking a sustained programme of creating larger shop units thoughout the centre in order to modernise the scheme and make it fit for purpose for modern day retailer requirements. This initiative has succeeded in delivering a diverse and well let tenant mix and the centre is now firmly positioned as the value offer in the town. Last year it secured Poundworld as a new tenant who signed a 10 year lease on a 4,000 sq ft retail unit complementing existing retailers at the centre including Wilkos, Iceland, Peacocks and The Entertainer who opened in 2015. The centre's signage has also been completely overhauled and modernised. excellent tenant line up generating a strong level of retail demand." Addington Capital annouce New Office and Restaurant lettings in Shrewsbury Town Centre. Addington Capital, the property investment and asset management company has been completed a trio of office deals at Princess House, Shrewsbury Town Centre in recent months and the upper floor is now fully let. · The Secretary of State for Communities & Local Government has signed a 10 year lease renewal to occupy circa 12,000 sq ft across the ground, first, second and third floors. ·Shropshire Community Health NHS Trust has signed a new 5 year lease on circa 6,000 sq ft at 3rd floor. Furthermore, a new letting to Cote Brasserie has been completed on a new 25 year lease on the ground floor of the premises fronting The Square at 14/16 The Square. Addington acquired the building as part of the Retail Plus portfolio acquired from Rockspring in November 2015 and has been actively asset managing since. Alex Wagstaff, partner at Addington Capital said, " We are delighted with what we've been able to achieve with this building in Shrewsbury which is a bustling market town. Securing a popular chain such as Cote to Market Square, as well as strong tenants in the offices above bodes well for the town." Addington has also recently refurbished a small vacant unit on Princess Street extending to circa 5,000 sq ft that is now available to let via the letting agents Ockleston Bailey and Cooper Green Pooks. Addington Capital: Exciting new restaurant tenant for Queens Arcade in Cardiff: Tim Hortons Coffee Shop opens first shop in Wales. Addington Capital, in partnership with the shopping centre owner EPISO, an opportunity fund advised by Tristan Capital Partners, has attracted TimHortons, the Canadian Coffee House to its Queens Arcade Shopping Centre in Cardiff. Tim Hortons is one of North America's largest restaurant chains, operating in the quick service sector. Famous for its lattes and "Dark Roast" coffees, TimHortons has more than 4,600 system-wide restaurants located in Canada, the United States and the Middle East. This will be its first shop in Wales, the company having just opened its first store in Glasgow. Commenting, Alex Wagstaff of Addington Capital said, “We are delighted to welcome TimHortons to the Queens Arcade Shopping Centre and pleased that it has chosen Cardiff as its first shop in Wales. TimHortons is a big brand in Canada and the US and its arrival will be a real attraction for our customers." 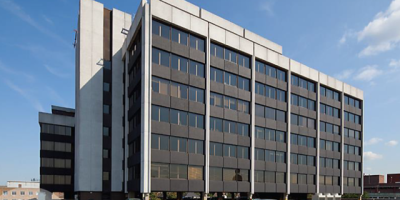 Addington Capital sells in Basildon, Essex. Addington Capital, the property, investment and asset management specialist, announce the sale of retail properties 6-30 and 51-81 in Southernhay, Basildon to a private investor for £4.7 million. The properties consist of two unbroken retail parades of shops with residential maisonettes on the first floor of one parade comprising a total area of circa 48,000 sq ft(size). Addington Capital the property investment and asset management specialist has appointed Debbie Hernon, as the new Shopping Centre Manager at its Charter Walk Shopping Centre in Burnley. The 250 ,000 sq ft shopping centre has had a busy first half of the year as it prepares for the new 40,000 sq ft Primark Store, which is scheduled to be open and trading in Spring 2018. The asset managers have successfully moved Wilko’s into the former 99p Store unit on the mall in order to make way for the Primark Store and contractors are currently on site stripping out the proposed unit and undertaking structural alterations to facilitate Primark’s fit out. Gayle Taylor, Project Manager from Lambert Smith Hampton said “We have now completed a series of further investigations since we took the unit back to allow designs to be completed for Primark and construction work is progressing well, although there still is a substantial amount of structural alteration work to be undertaken prior to handover. We will see a flurry of activity on site over the coming months." Alex Wagstaff of Addington Capital said, " Given all the activity at Charter Walk, Debbie's appointment is well timed and we are excited about the contribution she will make to this increasingly vibrant centre." Addington Capital, the investment and asset management specialist has let a circa 4,500 sq. ft. restaurant, 16-17 Kirkgate, Leeds to “Home”, the fine dining experience. “Home” is being set up by Elizabeth Cottam, the much praised semi-finalist of last year’s BBC MasterChef and her business partner Mark Owens, former Head Chef at Michelin-starred The Box Tree in Ilkley. It will be opening its doors in August. "Home" will be a 65 cover restaurant with bar area, providing fine dining “re-imagined” in a welcoming atmosphere, including offering a ten-course tasting menu and exclusive chef’s table experience. The company has signed a 10 year lease at a rent of 39,000 pax with 9 months rent free. Commenting, Alex Wagstaff of Addington Capital said, “ We are delighted to have attracted Home as a new tenant into our property. Leeds City Centre has grown in stature over recent years with significant investment and redevelopment. Elizabeth Cottam’s restaurant will create further interest and I’m sure will be a huge success"
Addington acquired 16-17 Kirkgate at the end of 2015, as part of the £60 million Retail Plus Portfolio acquired from Rockspring. The agents on the letting were Barker Proudlove and Rees Denton. Addington secures planning and markets Industrial Development site in Braintree. Addington Capital, in partnership with EPISO3, an opportunity fund advised by Tristan Capital Partners, has appointed Avison Young to market its freehold industrialdevelopment site , Bradbury Works, in Braintree, Essex for offers in excess of £6 million. The site extends to just under 9 acres and Addington has recently secured planning permission for 196,000 sq ft of new B2/B8 accommodation. It is already in discussion with potential tenants for the new space as there is very little supply of new quality industrial units in the area. Steven Vaughan of Addington commented “We have received a number of unsolicited offers for the site but given the level of interest we have decided to formally market it. This is a good quality site and in a good location, and given current investment demand for the industrial sector, we believe it will do well." Addington Capital, the investment and asset management specialist and EPISO 3, an opportunity fund advised by Tristan Capital Partners, have sold the long leasehold interest in Randall House, 6 Dowgate Hill, EC4 to an overseas client advised by Salamanca Group for £16.85million. The 15,853 sq ft building has been sold fully let. The vendors were advised by Capital Real Estate Partners. The office block was purchased by the joint venture partners in August 2014 and the property was vacant at that time. Since then Addington has re-geared the headleasehold interest to obtain a new 150 year lease, comprehensively refurbished the building to provide modern air conditioned office accommodation, on six floors (LG to fifth) behind a listed façade and fully let the building. Latest lettings were GBE Services Ltd who took 2,245 sq at a rent of £70 per sq ft. in February this year and Rightship UK Limited who took 2,458 sq ft at £71.50per sq ft last year. “This illustrates that there is no shortage in the demand for good quality stock in the City either from occupiers or investors, particularly from those from overseas." Tessella is expanding into 2,000 sq ft (1st floor unit 25) of refurbished accomodation whilst re-gearing its existing 10,700 sq ft space ( Unit 22, 26, 27 ). It is taking a ten year lease with a 7 year break. Preservica Ltd is re- locating from existing space at the Quadrant and taking 3,500 sq ft of refurbished accommodation over the ground and 1st floor. It is taking a 10 year lease with a 5 year break. Carter Jonas acted for Addington whilst VSL acted for the tenants on both of these deals. 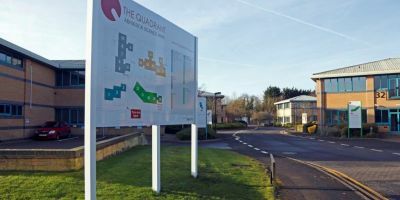 These deals follow on from the recent announcement that PsiOxus Therapeutics has expanded its operations at the Quadrant, by taking 21,700 sq ft at the Science Park at an undisclosed rent. Europa and Addington acquired The Quadrant in January 2016, in a joint venture, and Addington has been actively asset managing since - refurbishing the existing R&D and office accommodation internally and upgrading laboratory equipment, heating/cooling systems, lighting, ceilings finishes, floor coverings, electrics and decorative finishes. The scheme totals 75,000 sq ft.
Philip Symonds, partner at Addington Capital said, " These further lettings mean that now over 50% of the Quadrant has been re-let on new terms. South Oxfordshire has become a recognized science/tech hub over the past 10 years and the fact that we have attracted new tenants, whilst retaining existing ones shows that our asset management policy- to provide the type of space such tenants demand - has paid off." Jon Silversides, partner at Carter Jonas said, "We are now seeing a genuine push for accommodation from within the science community both at the Quadrant and across the Science Vale, with these lettings being the tip of the iceberg. We have a significant level of demand in the remaining accommodation and hope to be announcing further lettings shortly." " Only two smaller suites below 2,500 sq ft are fully available." An opportunity fund advised by Tristan Capital Partners,, and Addington Capital , the investment and asset management specialist, has sold a prime leisure investment on Broad Street in Birmingham City centre to Downing Group for £5.4 million. An opportunity fund advised by Tristan Capital Partners,, and Addington Capital , the investment and asset management specialist, , has sold a prime leisure investment on Broad Street in Birmingham City centre to Downing Group for £5.4 million. The firms were represented by international real estate advisor Savills and the price reflects a net initial yield of 7.39%. The asset comprises three units totalling 35,062 sq ft (3,257 sq m) as well as car parking on the upper floor which are let to Bierkeller, Velvet Music Rooms & Sugar Suite and Food Republic for a total passing rent of £425,242 per annum. The properties are located adjacent to a Hampton Hilton hotel and are also within one of Birmingham’s most established leisure destinations, where nearby operators include Grosvenor Casino, Revolution, Five Guys and East Z East. The properties are owned by EPISO 3, a fund advised by Tristan Capital Partners, the pan-European real estate investment manager and Addington Capital, who acquired them in 2014 as part of Project Tree, a £150 million mixed portfolio which Addington has subsequently been actively asset managing. Downing Group was represented by MK2 Real Estate. Europa Capital, and partner Addington Capital, the property, investment and asset management specialist, announce the sale of the Webhelp Call Centre in Dearne Valley, Rotherham to a privately owned Isle of Man property company for £6.875 million, reflecting a net initial yield of 9.25%. The freehold property comprises a 62,700 sq ft modern two-story building, with 440 car park spaces and is let until March 2024 at a rent of £675,000 per annum (£10.75 psf). The joint venture partners acquired the property as part of Prospect Portfolio in January 2016.
sub £10 million properties. Breaking up portfolios acquired over the past 2/3 years remains further underpinned by the strong auctions market." Hugo Black, Partner at Europa Capital, commented: ‘This represents the 7th sale out of the original 26-property portfolio, while various value-accretive initiatives are being pursued on the remainder of the portfolio." Allsop & C&W acted jointly for the seller and Andrew Dixon & Company of Telford advised the purchaser. 20,038 sq. ft. of retail, residential and office accommodation comprising a parade of shops, six 3-bed residential units and 2 office suites. The parade has a diverse local tenant mix including estate agents, solicitors, opticians, funeral care and amusements. The passing rent is £303,040 pa (£15.12 psf overall) The properties were sold to an unrepresented private investor for £5.5 million. 387,000 sq. ft. former mill building complex let to Peter Black Footwear & Accessories Ltd. The property has a lease expiring 20 July 2017 at a rent of £1,031 million per annum. The property was sold for £3.1M to an undisclosed Manchester based property company, advised by Allsop. Addington brokered the deal directly. A freehold property comprising a prominent retail parade(5,658 sq. ft. of retail, restaurant and leisure accommodation) with residential ground rents above in the London Borough of Kensington and Chelsea.The property is multi-let producing £237,250 per annum exclusive with a WAULT of 12.1 years to lease expiry and 9.5 years to break. The residential uppers (sold off) comprises of 12 flats.The property has been sold to an undisclosed private investor for £4.45 million, reflecting a yield of 5%. Three interlinking office buildings of 36,934 sq. ft. on a site area of 3.41 acres. The property is let to Devonport Royal Dockyard Limited until Oct 2025 subject to 5 yearly RPI uplifts, at a passing rent of £466,413 (£12.62 psf). The property was sold to a private investor advised by Knight Frank for £5million. Allsop acted for the vendor. Addington Capital, the investment and asset management specialist has signed the final letting at Randall House, 6 Dowgate Hill, EC4. GBE Services Limited has taken 2,245 sq ft on the fifth floor of the building on a 10 year lease, with tenant’s break at year 5 - at a rent of £70 psf. This follows on from Rightship UK Limited taking 2,458 sq ft on the fourth floor of the building, on a 10 year lease, with tenant’s break at year 5 - at a rent of £71.50 psf in June 2016. These two lettings mean the 15,853 sq ft building is now fully let. Ingleby Trice and Farebrother were the letting agents on both deals. Randall House was one of the properties Addington purchased in joint venture with EPISO 3, an opportunity fund advised by Tristan Capital Partners, as part of a portfolio in August 2014. The 15,853 sq ft office block was vacant when purchased. Since then Addington has re-geared the headleasehold interest to obtain a new 150 year lease and has comprehensively refurbished the building to provide modern air conditioned office accommodation on six floors (LG to fifth) behind a listed facade. Martin Roberts, Principal of Addington Capital said, " Despite the worries of the impact of Brexit on City take up, businesses are committing to new space in what remains a tightly supplied market, at levels close to those being achieved this time last year. We are delighted to have put our development management skills to such good effect." * Primark is taking 40,000 sq ft on Curzon Street, next door to Next on a new 15 year lease. This space was previously occupied by Wilko. * Wilko is relocating to 24 The Mall, taking circa 12,000 sq ft with a new 10 year lease. This space was previously occupied by Poundland (former 99p store). * Poundland will consolidate from their current two stores into their circa 4,000 sq ft unit in Market Square on a new 10 year lease. Addington acquired the circa 250,000 sq ft Charter Walk Shopping Centre in a joint venture in March 2011 and has been actively redeveloping and asset managing the scheme ever since. Alex Wagstaff, Partner at Addington Capital said, "We have kept an ongoing dialogue with Primark since we took ownership of the centre and this has always been a target retailer for us, so we are delighted we can now offer them suitable premises. Primark is one of the leading retailers on the high street in the UK and securing them in Burnley for the long term is great news for the town centre." He continued, " With Wilko and Poundland also securing their long term future in the centre, we think these lettings will strengthen Burnley's retail offer and increase the already good level of retailer demand for the town." He continued: "We see the development of the town centre into a sub-regional centre as a key part of our long term vision for Burnley. That is why we have not only supported this development but also jointly invested over £3 million with Lancashire County Council into improving public realm in the town, as well as removing the redundant former cinema block, open market and ramp adjoining the market square which will be demolished in the next twelve months." Retail agents on the scheme are Stephen Proudley and Richard Lyons of Lambert Smith Hampton and Gary Crompton of Barker Proudlove. • Nationwide has taken 4,730sq ft. of space on a 15-year lease with a 10-year break. The owners acquired the circa 63,000 sq ft building, over three floors, from M&S in August 2015. As asset managers, Addington immediately set about to strip out the unit and reconfigure the space to provide NINE new units of varying size, ranging from 1,500 sq ft. to 30,000 sq ft. of modern retail floor space. All units are on ground floor except for Exercise 4 less Gym which has taken circa 1,000 sq ft. on the ground floor with 30,000 sq ft. over the entire first and second floors. All the new tenants will be open for Christmas 2016 with the exception of Nationwide who will open in the New Year. These lettings leave only one unit of circa 3,6565 sq ft to let that will be launched for marketing in the New Year. This is the latest development at the Harvey Centre, Harlow, which Addington acquired in a joint venture in March 2011 as part of the Sapphire Shopping Centre Retail portfolio. The owners recently announced their intention to open the £9 million leisure development branded as “The Terrace” in December 2016 along with a series of other restaurant and leisure letting deals on the site. Joint letting agents on the shopping centre are Anthony Appleby at Brasier Freeth and Harry Wildsmith & Chris Hovington at GCW. Addington Capital, the asset management and investment company, has appointed Time Retail Partners to bring its Queen's Arcade Shopping Centre in Cardiff to market for sale. The vendors are seeking a yield of around 8%. Addington acquired the circa 150,000 sq ft shopping centre in March 2011 as part of its joint venture acquisition of the Sapphire Portfolio. The centre has a good mix of retailers including New Look, Argos, Animal, Skechers, Rymans, Entertainer and 2Seasons in addition to the city’s Post Office and main Halifax Bank. Toys R Us has also recently taken space in the scheme. Queen's Arcade was originally developed in the mid 1990’s and was refurbished between 2006 and 2008. It is positioned in the city centre of Cardiff and links into Queen Street, Working Street and the St David’s Centre. Bruce Nutman of Time Retail Partners commented, " There remain numerous active asset management initiatives for the future owners of this scheme. There is a real lack of quality stock in the investment market at the present time and the centre's location in central Cardiff will add to its attraction. The scheme has an annual shopper footfall of 10 million people and the city is a thriving UK capital with a balanced retail offer. We welcome all potential interest. " Addington and Europa Fund IV, managed by Europa Capital have acquired Velocity Village, Tenter Street, Sheffield in a joint venture for £36.75 million. Cushman & Wakefield acted for the vendor. Velocity Village is a modern residential led property comprising 5 adjacent buildings surrounding a number of landscaped courtyards with 444 residential units (73 sold off on long leases and 371 fully let on ASTs) and 38,000 sq. feet of commercial accommodation, together with basement car parking (sold off to the University of Sheffield). The investment is well located in easy reach of Sheffield city centre and the city's retail, bars and leisure amenities and is a short walk from the University of Sheffield and Sheffield Hallam University's City Campus. Hugo Black of Europa Capital said, "This is a great opportunity to acquire a largely PRS "place maker" portfolio that offers occupiers a quality living environment with affordable but modern apartments in a major city centre. The high quality of the apartments makes them attractive to professionals and students wanting a mature living environment. The property’s proximity to the University and Royal Hallamshire Hospital also adds to it’s popularity." He added: "This will be the fourth JV between Addington and Europa." In November 2014, Addington and Europa acquired 470 married quarter houses just outside the Lakenheath USAF base in Suffolk which they have been refurbishing for sale and rent. Addington Capital, in partnership with the shopping centre owners, announce a series of leisure deals at The Harvey Shopping Centre in Harlow, Essex, in anticipation of the opening of the new £9 million leisure development branded as “The Terrace” due to open in December 2016. • A new six screen, 25,000 sq ft Cineworld Cinema – now confirmed opening in December 2016, in time for Christmas. • Various restaurants and catering offers located alongside Cineworld including the opening of a new circa 4,000 sq ft Tinseltown American Diner, a new 4,000 sq ft Real China Buffet Restaurant, 1,000 sq ft Subway. • The letting of 2,500 sq ft to Gym’s Kitchen restaurant chain. • The letting of 2,500 sq ft to Papa Cappuccino – an independent operator who already has two other restaurants in the town. • The letting of circa 4,000 sq ft to Creams Café and Gelato on a 10 year lease at £70,000 pax. Alex Wagstaff, Partner at Addington Capital who is asset managing and redeveloping The Harvey Centre said, “Harlow has a limited dining/leisure offer and we believe any new caterers coming into our centre will benefit from this lack of competition and thrive." He continued, “ We now only have two other catering units currently available to let in this scheme." The Harvey Centre is thriving. Anchor tenants include Tesco, Primark, Deichmann, HMV, H.Samuel and Argos and the offering at the centre is set to expand further with a further number of new stores and leisure facilities. Footfall for the centre is trending much better than the national average - during July footfall was 172,139 on average per week. Addington Capital, the investment and asset management specialist, in partnership with the shopping centre owners, has signed up Poundworld as a new tenant for its Union Square Shopping Centre in Torquay. Poundworld has signed a lease on a new bespoke 4,000 sq ft retail unit on a 10 year lease term at £65,000 per annum and will officially open its doors to shoppers on 28th July 2016. The new Poundworld store will create 30 new local retail jobs and complement existing retailers at the centre, which include Wilkos, Iceland, Peacocks and The Entertainer which opened in 2015. Addington acquired the 125,000 sq ft Union Square Shopping Centre in August 2014 and has since been actively managing and investing in the centre. It is now 90 % full. Further on-going investment will also see the centre’s signage refreshed and updated over the coming months. The shopping centre also has numerous tourist attractions taking place over the Summer which will generate further footfall. Agents on the deal were Bettesworths and Calan Retail acting for the landlord. Addington Capital, the investment and asset manager has secured The Burning Night company for the former Brannigan’s site in Broad Street, Birmingham, creating a prime leisure venue. The Burning Night company has agreed to bring its leading leisure brands to the the site in Broad Street and will open as a giant bierkeller and sports bar in a major boost for a key leisure and entertainment area of the city. The Leeds-based leisure group, which operates Bierkeller, Around the World, and Shooters Sports Bar, has agreed a 15-year lease at an annual rent of £190,000 for the 22,000 sq. ft. site. 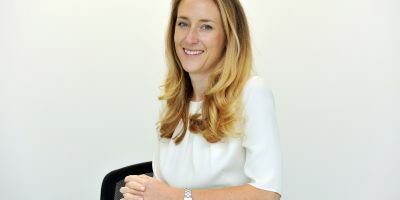 National commercial property consultancy Lambert Smith Hampton (LSH), acting on behalf of the landlord helped to attract the company to the city for the first time. The building is owned by EPI Special Situations 3 (EPISO3), a fund advised by Tristan Capital Partners, and Addington Capital. EPISO 3 and Addington acquired the building in 2014 as part of Project Tree, a £150 million portfolio of high street retail, office and residential, which Addington has subsequently been actively asset managing. The venue has been vacant since Branningans closed its doors in 2013 and Addington has since stripped the property back to the shell so that it is ready for fit out. The Burning Night Group is now making a major investment in refurbishing the venue, ready for opening later this year. Alex Wagstaff, partner at Addington Capital, said: “We are very pleased to welcome The Burning Night Group to Birmingham. It is a superb venue for any ambitious leisure group and it promises to provide something new and vibrant to the already busy Broad Street night life experience. The Burning Night Group, which runs pubs and bars in Leeds, Liverpool, Manchester and Cardiff, will accommodate all three of its brands under one roof at its new Birmingham home. National commercial property consultancy Lambert Smith Hampton (LSH) and Fleurets, acted on behalf of the owners to help attract the company. The agents commented: "This is a premium venue in a very popular nightspot in the city centre. The night-time economy is vital and with the footfall in the area calculated at many millions of people each year, opening a new venue of this calibre is a major boost to the leisure offering in Broad Street." London & Cambridge Properties (LCP) has boosted its retail portfolio with the £23.34 million acquisition of 100 retail units across England, acquired from EPI Special Situations3 (EPIS03), a fund advised by Tristan Capital Partners and Addington Capital. The Blossom Portfolio, which comprises 14 sites and includes high street stores and neighbourhood shopping parades, brings LCP’s investment in retail properties to more than £103 million in the last 18 months. The retail units, which stretch from Bournemouth in the south to Chorley, Lancashirein the north, include major high street names such as Specsavers, Superdrug, KFC and Iceland. The leading property and investment company acquired the 216,000 sq ft portfolio as it continues its ambitious acquisition programme in both the retail and industrial sectors. EPISO and Addington had acquired the Blossom portfolio in 2014 as part of Project Tree - a £150 million portfolio of high street retail, office and residential which it has subsequently actively asset managing. Matthew Allen, Principal of Addington Capital said, "Our strategy is always to work closely with our JV partners to find property opportunities where we can buy well and unlock value through active asset management and then dispose to specialist sector investors." 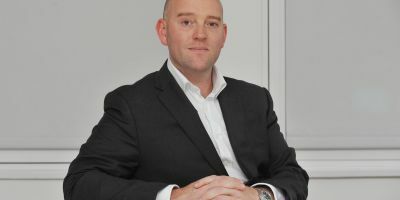 James Buchanan, investment director at LCP, said it was keen to acquire the portfolio because it offered the potential to enhance returns using LCP’s intensive asset management approach. “The Blossom Portfolio presented us with the ideal opportunity to purchase an excellent mix of thriving high street properties and local neighbourhood parades, which has increasingly become a focus for us.” he said. LCP was represented by Allsop, while Tristan & Addington Capital was advised by Cushman & Wakefield. Addington Capital LLP, the asset management and property investment business has recruited Steven Vaughan as a new partner to focus on London offices and industrial asset management and development. Vaughan has joined Addington from The Conygar Investment Company PLC where he was the Property Director for over twelve years and was responsible for the asset management of 48 commercial properties in a £150 m commercial property portfolio, as well as the purchase, development management and sale of in excess of £100 m of commercial property assets. Prior to that he was Corporate Development Executive at MEPC Plc, which included a role as Board Director of a joint venture company delivering the £120 m Callaghan Square PFI infrastructure project in Cardiff and was responsible for the acquisition, management and sale of a £120 million nursing home portfolio. Commenting on the appointment, Martin Roberts, Principal of Addington Capital said: “I have known Steven since we worked together in the 1980’s and he has a great track record in asset management and development in two of the key areas in which we wish to grow further : offices and industrial. Steven’s experience and contacts in these sectors will be a great asset to Addington as we grow further. His appointment takes our team to 14 professionals." Addington Capital was set up six years and has now completed deals worth £720 million by value to date. It operates in three main sectors; Retail (High Street and shopping centres), Residential where it has now acquired over 1,300 units for rental and/or sale and Offices where it undertakes re-positioning through planning and change of use, refurbishment and re-letting, rent reviews and lease renewals and currently has over 900,000 sq ft of offices under management. Addington Capital has secured two lettings at its City of London office block Randall House at headline rents of £70/sq ft.
Arrow Enterprise Computing Solutions has taken 6,278 sq ft on the ground, first and second floors of the building, at 6 Dowgate Hill, while Australian law firm MinterEllison has taken 2,404 sq ft on the third floor. The double letting means the building (pictured) is now 55% let within four months of being launched by investment and asset management specialist Addington Capital. Randall House was purchased as part of the Tree Portfolio, acquired by Tristan Capital Partners and Addington Capital in August 2014. The 15,500 sq ft office block was vacant when purchased and underwent a comprehensive refurbishment. 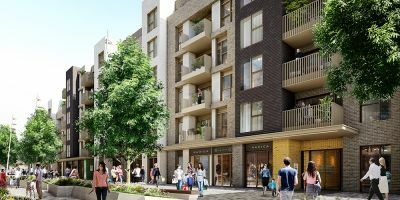 “There seems to be no shortage of demand for good-quality stock in the City and one further floor (lower ground) is also under offer with only the fourth and fifth floors still to be let,” said Martin Roberts, principal of Addington Capital. Addington Capital, the investment and asset management specialist announce the first letting from the Retail Plus Portfolio, the £60 million portfolio acquired with Och-Ziff Real Estate(OZRE) from Rockspring, at the end of 2015. Wildwood Restaurants have exchanged contracts to take a new 15 year lease of circa 4,500 sq ft of newly refurbished space at a rent of £100,000 pax. The space had previously consisted of two separate units which have been combined and redeveloped by the asset managers for Wildwood. Alex Wagstaff, Partner at Addington Capital said, " Ilkley is a thriving Yorkshire town which is increasingly attracting investment. This Parade is located around the town’s train station and benefits from a strong tenant line up including Pizza Express, Café Nero, Laura Ashley and M&S Simply Food amongst others. We are excited about this and other opportunities to re-position and re-let the high street properties in the portfolio." Barker Proudlove will act for the Landlords going forward on this asset. PsiOxus Therapeutics will expand operations by taking 21,700 sq ft ( Unit 4 -10), over the ground and first floor on a ten year lease with a 5 year break, at an undisclosed rent. PsiOxus is currently based at Milton Park and will use the new facility at the Quadrant alongside their existing R&D base. Carter Jonas acted for Addington and Lambert Smith Hampton acted for the tenant. The portfolio of 28 assets was bought from receivers at Cushman & Wakefield acting on behalf of creditor PIMCO. The yield on the portfolio is above 10%. The assets were previously owned by individual borrowers. The loans secured against the properties were originally issued by Northern Rock. They were subsequently sold to Lehman Brothers which used them as collateral in the midst of the financial crisis to pay debts owed to German Bundesbank. This debt was subsequently sold as part of a wider loan portfolio to PIMCO. The portfolio includes 27 properties in England and one in Scotland. There are 14 assets located in Leeds and Sheffield. The largest property is the Quadrant Science Park in Abingdon, Oxfordshire. The portfolio is comprised of approximately 55% offices with the remainder a mix of industrial, retail, residential, student accommodation and leisure. Allsop acted for the purchasers. CarVal Investors and operating partner Addington Capital have sold the Waterside residential scheme in Leeds to a specialist PRS fund managed by LaSalle Investment Management for aproximately £25 million. The acquisition by LaSalle is believed to be one of the first residential acquisitions by a UK institution of a standing investment in the regions and reflects the growing institutional investor interest outside of London for PRS investments. Waterside is comprised of 183 one-, two- and three- bedroom apartments within an 18-storey tower developed in 2008 and is located on the edge of Leeds City centre and within walking distance of Leeds Railway Station. Given the shortage of housing in Leeds, the team has been able to add value through improvements to the management and lettings process and refurbishment of the property, including the creation of two new spacious entrance halls. Leeds is increasingly attracting professionals to live and work in and near the city centre as the city's business economy has grown. At the same time, there is a prevailing shortage of good quality apartments for young professionals to rent in Leeds and rents have grown substantially over the last three years. Liv, formerly Eddisons Residential, acted in the management and lettings for CarVal Investors and Addington Capital.JLL advised La Salle. An affiliated investment fund of Och-Ziff Real Estate (OZRE), in conjunction with operating partner Addington Capital, is to acquire the Retail Plus Property Trust, a Jersey Unit Trust currently managed by Rockspring Property Investment Managers ("Rockspring"), for around £60 million. Retail Plus includes a portfolio of high street shops in twelve regional cities in the UK, including London, Cheltenham, Leeds, Newcastle, and Shrewsbury. The purchasers' plan is to secure significant new retail lettings in an improving occupational market. Addington Capital will asset manage the portfolio. The deal represents a new relationship between OZRE and Addington. Matthew Allen, Principal at Addington Capital said, "This is an exciting deal for us, working with a new partner, and providing a platform for future acquisitions." KLM acted for the vendor. Addington Capital announces new Lettings at Charter Walk Shopping Centre, Burnley, scheme now 95% Let. - Letting 1,500 sq ft to That’s Entertainment. The letting to The Entertainer completes the £3 million reconfiguration of Market Square East Block, which Addington has recently redeveloped to produce three modern retail units. The Entertainer joins Peacocks and River Island to complete the tenant line up in this block. Addington acquired the circa 250,000 sq ft Charter Walk Shopping Centre in a joint venture in March 2011, as part of the Sapphire Portfolio and has been actively redeveloping and asset managing the scheme ever since. Alex Wagstaff, Partner at Addington Capital said, " Charter Walk is trading well and there is now strong national retailer demand for the scheme, but there are only a few units still to let. We have let around 20,000 sq ft of space this year alone." He added , " At Addington our mission is to provide the right product at the right size and quality to attract key retail occupiers. This modernisation policy, together with the strong footfall in Charter Walk, has certainly sparked interest from the national retail chains and the scheme is now 95% let." Retail Agents on the scheme are Lambert Smith Hampton and Barker Proudlove. Please note this announcement follows the recent announcement from Addington Capital concerning the Queens Arcade shopping centre in Cardiff (also part of the Sapphire Portfolio JV acquisition ) which is now 100% let. The old Riverside offices on Temple Street in Keynsham could be turned into over 100 flats following an application lodged with B&NES Council by the current owners of the building. The application lodged with the council is to determine whether planning permission would be required for the transformation of office space into residential or whether the work could be carried out under what is known as ‘permitted development’. The Town & Country Planning Act makes provision for certain works to be completed without the need to obtain planning permission from the local authority and in the case of the Riverside, it is the fact that much of building has stood empty since B&NES vacated. The plans do not affect the retail units on the ground floor but would turn the first to fourth floors into 17 studios, 40 one-bedroom, 33 two-bedroom and 17 three-bedroom flats. The application has been lodged on behalf of Episo 3 Tree Properties, a company based in Luxembourg, care of Addington Capital, the London-based asset management company which purchased Riverside from the receivers when the previous owner went bust. While B&NES Council owns the freehold, the Riverside complex is subject to a long lease, previously held by property company Topland. In 2013 B&NES made provision to pursue a compulsory purchase order on the building if necessary. Transport consultants engaged by the applicants have stated that the building would generate less traffic in residential use than it would as a full office and the lower level of the Civic Centre car park, which is no longer available to the council to use, would provide more space than is required under current planning regulations. The plan also potentially scuppers one of the options put forward by B&NES last month as one of the three locations identified for the new leisure. Although, as we now know, all the plans presented in the consultation were only ‘diagrammatic’, the option for a new facility at the Riverside was clearly shown fronting Temple Street. Addington Capital acquires former Marks & Spencer Unit at Harlow Shopping Centre to create modern retail units. Addington Capital, in partnership with the shopping centre owners, have acquired the former M&S unit at the front of its Harvey Centre Shopping Centre in Harlow, to extensively refurbish and redevelop into eight modern retail units. The building consists of circa 60,000 sq ft of floorspace over three levels and Addington are to refurbish and reconfigure the space to provide a variety of units ranging in size from 1,500 sq ft – 30,000 sq ft to provide modern retail floorspace. The new units are due to be ready for occupation in Spring 2016. GCW acted for Addington Capital in this acquisition. This is the latest deal at the Harvey Centre, Harlow which Addington acquired in a joint venture in March 2011 as part of the Sapphire Shopping Centre Retail Portfolio. Recent lettings within the scheme include new leases to Specsavers, Haart Estate Agents, Creams Café, Subway and Real China Restaurants. The new £10 million Leisure Development at the Shopping Centre, branded as ‘The Terrace’ is currently being constructed on site and is due to open in Autumn 2016 with pre lets secured to Cineworld, Prezzo, Tinseltown and Real China. Commenting on the deal Alex Wagstaff, Partner at Addington Capital said, " We are delighted with the significant improvements we have been able to deliver so far in Harlow and this acquisition of the former M&S unit at the main entrance to the scheme, will enable us to invest in a prominent town centre property and provide further floorspace for quality retailers. We have had a fantastic response so far from national operators for these new units, with over 70% of the floorspace already under offer. 2016 plans to be an exciting year for the shopping centre with the opening of these new retail units and the launch of the new leisure development in Autumn 2016’’. Tristan Capital Partners, in partnership with Addington Capital, the asset management and investment specialist, has sold the sixty year, long leasehold interest in Harmsworth House in Bouverie Street, London EC4 to a private family trust. Harmsworth House was one of the properties purchased in the Tree Portfolio, acquired by Tristan Capital Partners and Addington Capital in August 2014. The building comprises 60,076 sq ft of predominantly office accommodation and is 80% let to 14 tenants including Hitachi Consulting and Geo Networks with the annual gross passing rent of £2.16m, reflecting £36 per sq ft overall. It occupies a 0.34 acres island site bounded by Tudor Street, Temple Lane and Bouverie Street in the City. Commenting Martin Roberts, principal of Addington Capital said, " Harmsworth House still offers active asset management potential in the short term together with a medium term redevelopment opportunity to provide a brand new building of over 100,000 sq ft. Such opportunities are hard to find in the City, particularly in today's competitive market." Savills advised the joint venture of Tristan Capital Partners and Addington Capital. The purchaser was advised by Capital Real Estate Partners. Addington Capital LLP, the asset management and investment property company has recruited Nic Bouma to head its Development Management business. Bouma has joined Addington from the V&A Waterfront (Cape Town, South Africa), where he was Development Manager reporting directly to the CEO of the 290 acre estate. Nic led the Strategic Master planning for the scheme and was responsible for the development inception and management of a number of key projects in the retail, residential, office and leisure sectors including Gateway Precinct Plan, (mixed use), Victoria Wharf Shopping Centre, (new build), Portswood Ridge (offices to residential), One Breakwater Boulevard (new build residential) and Two Oceans Aquarium (leisure/conference facility). Prior to that he was Development Programme Manager for Barclays ABSA’s Gauteng property portfolio- ABSA (Johannesburg) being part of the Mace Group. In joining Addington Capital, Nic is re-united with former colleagues Martin Roberts and Matthew Allen, now Principals of Addington Capital and formerly UK Managing Director and Acquisitions Director at CIT Group Plc. At CIT Nic was Associate Director on the redevelopment of Abbey House and Aybrook Street residential schemes (GDV £200 m), a major refurbishment of 28 hotels (value £425 m) and refurbishment and extension of a number of centres in the Bourdon Shopping Centre Portfolio. Addington Capital was set up five years and now has now completed deals worth £478.5 million by value to date. It has expertise in three main sectors; Retail (it owns shopping centres in Harlow, Burnley, Cardiff and Torquay), Residential where it has 1,100 units under management including PRS, US air force houses in Suffolk and 250 units in Project Tree (flats above shops) and City of London office refurbishments. It is one of the few players in the market with hands on experience in both the residential and commercial sectors and works in partnership with a number of well known funding institutions to acquire and asset manage its properties. Addington Capital has celebrated its fifth birthday with a champagne reception for clients, contacts and friends held at the beautiful Pompadour ballroom of London's Café Royal on March 5th. Over 150 guests enjoyed Addington's hospitality including Addington's partners, Europa Capital, Tristan Capital Partners and CarVal Investors, and other representatives from funds, financing houses and firms of surveyors, including Allsop, CBRE, Cushman & Wakefield, DTZ, Savills, JLL, HSBC, Lloyds, PBB. Addington Capital was set up five years ago by Principals Martin Roberts and Matthew Allen who were previously UK Managing Director and Acquisitions Director at CIT Group Plc. 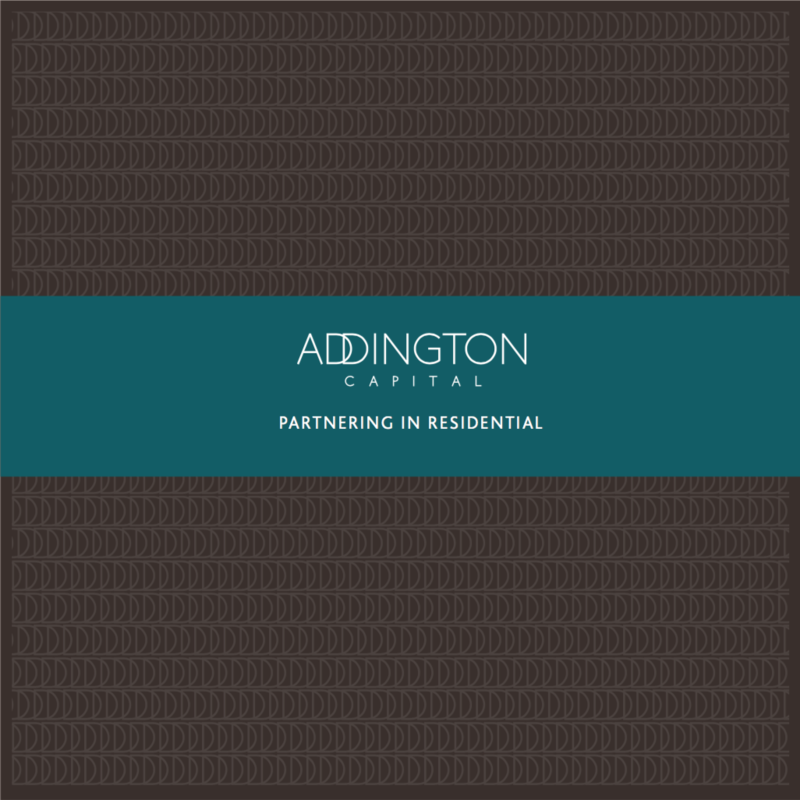 Since inception Addington has completed deals worth £478.5 million by value to date. The company has expertise in three main sectors; Retail (it owns shopping centres in Harlow, Burnley, Cardiff and Torquay), Residential where it has 1,100 units under management including PRS, US air force houses in Suffolk and 250 units in Project Tree (flats above shops) and City of London office refurbishments. Martin Roberts, Managing Director of Addington said, " We believe we are one of the few players in the market with hands on experience in both the residential and commercial sectors and we work in partnership with a number of well-known funding institutions to acquire and asset manage properties. It's been a great five years from a standing start and we just wanted to say thank you to those who have supported us. We hope to continue working with them as we develop our business further." Addington now employs 10 staff and is based in offices in Heddon Street in the West End. The US Air Force’s residential base in Suffolk has been sold by Ireland’s National Asset ­Management Agency for £50m. Addington Capital and fund manager Europa Capital have bought 473 homes let to the US Air Force at RAF Lakenheath. The base’s married quarters and an adjacent small shopping parade were sold by bad bank Nama as part of a consensual sale process. The purchase marks the joint venture’s third transaction, following the acquisition of a £39.1m UK student housing portfolio in 2012, and a shopping centre portfolio in 2006. Europa Capital bought the properties on behalf of its Europa Fund IV, a closed-ended pan-European fund. Investors in the vehicle include the $58.3bn (£34.3bn) Virginia Retirement System pension fund, which committed €75m (£59m) to Europa in April. The transaction provides “an opportunity to purchase a significant quantum of residential accommodation in an area and sector which is steadily improving”, said Europa partner Rob Sim. Cushman & Wakefield Corporate Finance advised Nama; Savills acted for Europa Capital and Addington. Tristan Capital Partners, in joint venture with Addington Capital, has pipped Goldman Sachs in the race to buy a £150m portfolio of regional assets once owned by the Noé family. Tristan and Addington, advised by Allsop and DTZ, has bought the Tree Portfolio, from receivers at KPMG for £153.2m. The price for the portfolio of 144 mostly regional retail properties reflects a yield of circa 10.7%. Tristan’s European Property Investors Special Opportunities 3 Fund will acquire the mixture of high street shops, convenience parades and malls. In addition there are a number of office and industrial assets as well as around 250 flats. The properties are currently 87% occupied. Tristan managing director Peter Mather said: “Speed was of the essence in securing this portfolio, which offers plenty of scope to add value through creative asset management in keeping with the fund’s strategy. Tristan Capital has appointed Addington Capital as its asset management partner for the portfolio. Tristan pipped underbidder Goldman Sachs, which has bought several UK regional property portfolios over the past year including the Peloton and Angel portfolios. In February, KPMG restructuring partners Croxen and Firmin were appointed administrative receivers to 10 separate companies that own 339 mostly regional retail properties. This included Landmaster Properties, which is ultimately controlled by Leo Noé’s father Solomon. US opportunistic fund manager CarVal Investors has made first push into the UK rental sector with the purchase of City Heights, a high-profile rented block of 183 flats at Leeds City Island, at a yield to be around 9.5%. CarVal and operating partner Addington Capital are thought to have paid Middle Eastern investors around £16m for the property, as appetite grows for private-rented investments in the UK. Lloyds Banking Group and Grainger have completed the sale of a 336 asset residential portfolio through their Residential Asset Management Platform. Grant West Property, a company backed by Sir Tom Hunter and Uberior, the private equity division of HBOS, has been sold for £39.1m to Europa Capital and Addington Capital. The properties owned by the company are mainly converted houses that are privately let to students across 11 UK cities such as Edinburgh, Newcastle, Bristol, Manchester and Nottingham. The company was managed by the Residential Asset Management Platform (RAMP). RAMP was set up last year to manage distressed residential assets on which Lloyds owned the debt for them to be asset managed by Grainger and sold on in the open market. Grant West is a residential property invester that was backed by Scottish entrepreneur Hunter and Uberior. Administrators from Ernst & Young were appointed in April last year. Grant West breached a loan-to-value covenant on the £70m it owed to HBOS. The company's initial intention when established in 2007 was to develop a £1bn portfolio, but at its height it only reached a value of abuut £150m. Addington Capital was set up by former CIT Group directors Martin Roberts and Matthew Allen in 2010. It made its first investment in March, when it bought the Sapphire Retail portfolio with the European Property Investors Special Opportunities Fund for £145m. "Today's sale demonstrates the ability of Grainger to identify and secure value in a challenging housing market. The assets disposed comprise an income producing portfolio aimed at the investor seeking critical mass and a stong and robust income stream. "Despite on-going negative sentiment on the state of economy, we continue to see new investors attracted to the residential market in pursuit of attractive income returns. Grainger clearly provides a valuable service to the market, demonstrated by its success so far in managing assets within RAMP, and we look forward to securing further mandates." The Joint Administrators of Grant Residential Property Limited and Grant West Property Limited (GRPL and GWPL respectively), Fiona Taylor and Colin Dempster of Ernst & Young, have confirmed the sale of 366 residential properties out of administration to Europa Fund III, the pan-European fund managed by Europa Capital for an undisclosed sum. The acquisition was undertaken in partnership with Addington Capital. The portfolio comprises 366 properties located across 11 cities in the UK, including Birmingham, Bristol, Dundee, Edinburgh, Glasgow, Liverpool, Manchester, Newcastle, Nottingham, Salford and Stirling. The assets are located in areas of the cities attractive to the student occupier market. All properties are either close to the universities or within an established student residential area. Approximately 90% of the properties are located within cities that are anchored by a Russell Group University. Rob Sim, Head of the Northern Region and Partner at Europa Capital comments: “The acquisition represents a rare opportunity for Europa Capital to acquire a student let residential portfolio at a discount to individual asset value which allows for competitive rental levels in comparison to new purpose build student housing. The location of the properties matches well to the supply and demand requirements of the student housing market in each city. The remainder of the portfolios’ properties will continue to be managed under Lloyds Banking Group’s Residential Asset Management Platform (RAMP) while administrators progress discussions with interested parties. Charter Walk is celebrating following a raft of retailer signings to the shopping centre in Burnley. Fashion retailer, River Island, has agreed a new 10 year lease for the new Unit 1 to be formed as part of the Market Square Redevelopment proposals. River Islands' new store will double from its current size to 11,300 sq ft, and allow the retailer to expand its range of fashion goods on offer. WH Smith have agreed to relocate from their exisitng Market Square unit to the circa 4,500 sq ft, 51 The Mall on a new 10 year lease in early 2013 in order to make way for this planned redevelopment. Advanced discussions are being undetaken with further national retailers for the remaining two retail units formed by this planned redevelopment and a further annoucement relating to the identity of the retailers secured and timing of development is expected shortly. Entertainment Exchange retailer CEX Ltd have agreed a new 10 year lease at 41 St James Street and are due to open in November whilst Textiles Direct have relocated to the former Currys unit in Market Square. Other retailers demonstrating their commitment to Burnley include fashion retailer Monsoon, who have signed a new five year lease renewal on its Mall store, and Game signing a new five year lease renewal on its St James Street store. The raft of signings follows the annoucement earlier this year from the Asset Managers of Charter Walk, Addington Capital, that NEXT are relocating within the centre and are scheduled to open their new 20,000 sq ft store in early December 2012. On the new lettings, joint letting agent, Patrick Keenan, Lunson Mitchenall commented: "The recent signings demonstrate the renewed and growing confidence retailers have in Charter Walk and Burnley. The signing of River Island for a new unit within the propsed redevelopment of Market Square as well as the signing of NEXT demonstrates the positve direction Charter Walk is moving towards, with retailers keen to be part of this." Councillor Julie Cooper, Leader of Burnley Borough Council said " This is really excellent news and will strengthen our shopping offer. We are working hard to increase footfall in the town centre in these difficult trading conditions and the best way to do that is to get more and better shops." Steve Rumbelow Chief Executive of Burnley Council added "We have a great working relationship with Addington Capital who have worked really hard to develop the town centre. Together we will continue to drive an improved shopping "offer". Tushingham Moore and Lunson Mitchenall are joint letting agents for Charter Walk. The Harvey Centre in Harlow has exchanged contracts with cinema operator Cineworld for a new 6 screen cinema on a long lease at the shopping centre. The cinema letting will anchor a new leisure mall to be developed on the first floor of the Harvey Centre, and follows a planning consent being granted in June this year for a change of use to a cinema and A3 uses at first floor level. The £9m development is expected to act as a catalyst for the regeneration of the centre, which was built in the 1980's. It will incorporate a Cineworld multiplex and up to six restaurants of approximately 20,000 sq.ft. Alex Wagstaff, partner at asset manager Addington Capital, said the new letting to Cineworld would benefit the town centre as a whole with longer trading hours and dwell times for town centre shoppers. "We're confident Cineworld will attract the national restaurant chains currently under-represented in the town," he added. Work is expected to begin on the complex early next year, with Cineworld expected to screen its first showing late 2014. Bold new plans to kick-start the regeneration of Harlow town centre by transforming part of The Harvey Centre into a multi-screen cinema complex and food court have been unveiled by the shopping mall's new owners. Addington Capital - which took control of the centre last April - is set to pump £8m into an ambitious redevelopment project focused around the sprawling former JJB Sports store on the first floor. According to the draft propsals an area of 25,000 sq ft incorporating the vacant shop, a neighbouring unit of equivalent size and an overhead storage is earmarked for an eight-screen cinema, while up to six expanded first floor units have been allocated for new eateries and coffee shops. Addington are currently locked in talks with a major UK cinema operator and several high-street restaurant chains over the plans and hope to be in a position to submit a planning application to Harlow Council within the next month. If approved, work could start in autumn this year and be complete in time for a Christmas 2013 opening. Alex Wagstaff, partner at Addington Capital, told the Star " We are excited about our plans to establish a state-of-the art leisure destination within the Harvey Centre and anticipate that the proposals - if approved - will help boost the night-time economy and in turn encourage wider investment in the town centre. "The former JJB store has been vacant since 2008, and with another unit next-door of equivalent size also sitting empty for several years, we realised there was great potential to offer our customers something new and exicitng. "By bringing in national restaurant chains, we also hope to increase the amount of time shoppers spend in the centre, giving our retailers a boost and opening up the possibility for trading hours to be extended." The plans follow hot on the heels of a recent £1m revamp of the centre's interior - a project that Mr Wagstaff said had already reaped dividends by helping to boost customer footfall by an average of 10 per cent since its completion. "The Harvey Centre was built in the 1980s and was designed to reflect the retail demands of the period - our ambition is to bring it into the 21st century", he added. We've already refurbished the main interior mall, and we now want to continue this moderisation at first floor level. "We know the demand is there, and we're committed to providing our customers with what they want - exciting new shops, high-quality restaurants and a new leisure destination in the town centre." The plans are now on public display in a vacant unit opposite Buger King on the first floor. Further information is online at www.harveycentre.com and on the centre's Facebook and Twitter pages. Estates Gazette's weekly BigQuestion poll of the property industry has raised some key issues over the past eight months. We called together a group of industry experts to see what they made of the survey's findings and to discuss the themes that got respondents talking the most. A SHOPPING centre fit for the 21st century is what Burnley can expect when work on the £3m. Charter Walk revamp is complete. The centre's manager Chris Gribben spoke exclusively to the Burnley Express to tell of his excitement at the plans, which will transform the centre, and hopefully attract "several new high street names" to the town. Mr Gribben confirmed that two or three exisitng stores would relocate to other parts of Charter Walk and that new businesses coming in would largely be from the clothing sector. The Express revealed on Tuesday that Charter Walk owners Addington Capital, had secured permission for the redevelopment which will modernise the shopping centre by completely transforming the Market Square area. Mr Gribben said: "This £3m. investment is looking to create not just a new environment but the type of retail space that modern shops demand. That is, larger premises." "The redevelopment will allow us to retain and attract these big name businesses. Hopefully we've met their demand, and I can confirm there are several businesses interested in coming to Charter Walk. The work, expected to start in the spring with the view to being completed in time for Christmas, will see the first floor balcony and staircases outside River Island, WH Smith, Superdrug and Ryman's being removed and the existing shops replaced by three new double height units. JD Sports will also move from its current corner location into the now vacant former HMV store. Mr Gribben added: "This is good news for Burnley shoppers, traders and workers. It is the first major redevelopment of Charter Walk since 1995 and will make us an attractive shopping destination." "Burnley's shops have performed well regionally and against the national trend, and have done for some years, but now is the time to build on that success." "Given the current economic climate the fact we have shops willing to take part in this refurbishment demonstrates their commitment to the town and their confidence." Work will also be carried out in the square itself where landscaping will be improved and the circular cafe demolished and replaced with a new glazed pod style cafe and kiosk with outside seating. Centre bosses Addington Capital, a property investment and assets management company, said this would improve the visibility of retailers and attract a number of high quality retailers to the town." New-look Market Square Unveiled - Minus Balcony! PLANS to revamp Burnley's Charter Walk market square, including removing the first-floor walkways and staircases, will be unveiled to shoppers for the first time today during a public consultation. IMAGES of how Burnley's redeveloped Charter Walk shopping centre will look have been released for the first time. Bosses at Addington Capital, the property investments and asset management company which now owns the centre, have unveiled plans to refurbish the Market Square area and double the size of some of the units. 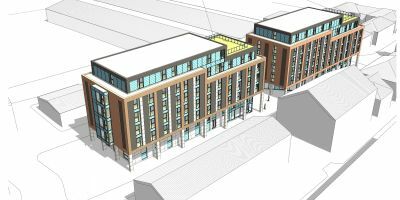 The owners are set to submit a planning application in the next two weeks which would involve the removal of the external first floor walkways and staircases to create double-height units ranging in size from 5,000 sq ft to 10,000 sq ft each. The square itself will also be redeveloped to improve landscaping and the cafe building will be removed and replaced with a new glazed cafe pod structure. People will be able to view plans of the redevelopment today and Wednesday between noon and 2pm at the Clarets Store shop, 4 Fleet Walk, next to Costa Coffee. The centre has also been handed a boost with two other new tenants, besides Burnley FC, moving in the past month. Gift shop retailer Past Times has taken on the former Paperbox unit, providing a range of nostalgic gifts. And Duffer Menswear has taken over a 10-year lease on one unit in the centre relocating from a smaller unit on St James' Street. Another tenant is expected to take on former Duffer unit shortly. Council bosses have also recently pledged a shopping centre development will go ahead at Oval site, despite almost five years of delays. Next and Primark have been announced as the anchor store for the £70million centre. European Property Investors Special Opportunities, L.P. (EPISO), a fund co-advised by AEW Europe and Tristan Capital Partners, has partnered with Addington Capital to complete the purchase of the Sapphire Retail Portfolio in the UK for £145 million representing a net initial yield of c.7.75%. The portfolio comprises three regional shopping centres; Charter Walk, Burnley, Queens Arcade, Cardiff and the Harvey Centre, Harlow. The centres comprise over 1,125,000 sq ft of retail and ancillary accommodation and are let to over 270 tenants. The current net income from the portfolio is approximately £12 million per annum with an ERV of in excess of £15 million per annum. The centres were put into administration in August last year by a syndicate of Banks led by LBG. Grant Thornton was appointed as Administrators and London & Associated Properties, asset manager. Commenting on the deal, Ric Lewis CEO of Tristan Capital Partners said “We are pleased to have acquired these three shopping centres and to be partnered with Addington Capital who have an excellent reputation and vast experience in asset managing centres such as these. We are buying these properties at a tough time in the cycle, but we think there is a lot of upside potential. We are glad to be further diversifying the Fund by investing in the UK shopping centre market”. Peter Mather, Co-Head of Investment at AEW Europe commented “this opportunity allowed us to purchase a portfolio of good quality shopping centres which provide many opportunities to add significant value over our intended hold period. With a planned capex budget our aim is to stabilise and then increase NOI through the leasing of vacant space, reducing irrecoverable expenditure, development, amalgamation of units as well as general improvement to the shopping environments. Working with the experienced team at Addington will make sure we hit our business plan objectives efficiently and effectively”. Martin Roberts of Addington added “we are delighted to have secured the Sapphire portfolio as our first investment deal with our partners at AEW Europe and Tristan Capital and are looking to double the size of the targeted investment portfolio over the next 12 months if conditions allow. We believe that our ability to move quickly and provide certainty with the support of a cash underwritten bid was decisive in securing the portfolio in the face of some high quality competition. Addington Capital will be retained as asset manager of the portfolio, overseeing the property and facility management and driving the lease up of the centres. There were over 40 shopping centres available in Q4 2010, ranging from super prime through to tertiary and all attracted interest from multiple potential purchasers. The market remains constrained by a lack of supply rather than any weakness in investor sentiment. It will be interesting to see whether the bank induced selling accelerates this year or continues to ebb and flow as in 2010. Our view is that the market can sustain a significantly higher level of supply before the availability of debt or weakening investor appetite leads to weaker pricing for the better secondary centres. Addington & EPISO were advised by King Sturge, the Administrators were advised by Franc Warwick. CIT Group’s managing director is to set up a new asset management company. Martin Roberts, who has worked at CIT for ten years, will set up Addington Capital but will remain in his role at CIT. He will be joined by CIT director Matthew Allen. John Barroll Brown, CIT’s chairman and chief executive, said: “We will continue with current roles in relation to the ongoing management and realisation of existing CIT assets under management, but Martin will also be free to pursue new projects independently of CIT. 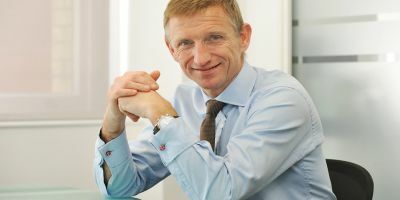 “Martin will continue to focus, in particular, on the UK Fund and at South Quay with the current CIT asset management team and on asset management services generally. “Martin and I have worked together for over 15 years and we both feel that the changes are appropriate to take the business forward and to serve the interests of existing investments whilst opening other opportunities. Baroll Brown has spent the last 5 years based in CIT’s Bahamian offices and has now relocated to the UK to refocus the business as the market emerges from recession. Roberts said: “I have worked for over a decade at CIT as an advisor and then as CIT’s Property Director but, as we now emerge from the worst of the economic downturn, I sense that the time has come for me to do something on my own.